Historical scholarship in literary studies is increasingly dependent upon digital objects that stand in as substitutes for printed or manuscript material. The operational features of digital surrogates often attempt to mimic the functionalities of codices and other material formats-ostensibly to reproduce the experience of handling the originals-while taking advantage of the vastly different cognitive and representational possibilities afforded by the new medium. There has been much theorization of the ways in which new media contain the old, but scholars involved in historicist criticism are increasingly making print simulacra into an effigy. Archives of digitized print materials do not pretend to replace the experience of the original but nonetheless promise, implicitly if not explicitly, a way of engaging with the attributes of the original objects to facilitate scholarly judgments about them. Thus digitized editions embody the ecclesiastical origins of the surrogate-“[a] person appointed by authority to act in place of another; a deputy” who usually stands in for a bishop-and its related concepts that impinge upon scholarly and institutional authority. When the concept of office as the symbol of an ultimate power is transferred to the realm of text, a digital edition which duplicates a print or manuscript document comes not only to embody but also to symbolize the power inherent in the original it stands in for. This paper will examine the digital surrogate as an effigy: an image taking the place of an original that is simultaneously worshipped and desecrated in the act of interpretation. A digital edition is a surrogate in that it stands in for and takes the place of a print original. We gain many practical benefits from using digital surrogates in literary scholarship, ranging from protection of the fragile original when a copy would suffice, increasing access to rare materials, and rendering such documents searchable and interoperable with other networked resources. Libraries have been major proponents of digital surrogates, which have long been touted by digital humanists, archivists, and special collections departments. Digital surrogates have also become levelers of class inequalities among researchers, allowing access to those who cannot afford to travel to the archives that house the often rare originals. As digital humanities has flourished as a field over the past decade or so, the searchability and interoperability of digital texts through the TEI encoding guidelines and Dublin Core metadata standards have expanded the usefulness of digital surrogates in making large gestures about literary history, especially when they form the basis of large datasets-much larger than can be processed by scholars individually or in aggregate-that facilitate corpus analysis. There is no denying the innovative possibilities that accrue from corpora of digitized documents. However, when the move toward corpus-level analysis entails inferences about texts in the aggregate, we necessarily ignore the individual works that make up the corpus, at least to some degree. Each work says something from a particular point of view, so how can we be sure that our corpus-level inferences are accurate? Is the singular text lost in the move toward searchability? Is it possible to develop a methodology that synthesizes search-based queries and the uniqueness of the underlying texts? When using digital methods upon a digitized text, are we really studying the object? And, if we attempt to compensate for the blind spots of large-scale analysis by selecting individual works from the digital corpus, are we adequately filling in the gaps? While a digital edition offers built-in functionalities and research possibilities unavailable in a printed object, the interface also erases many physical traits of the original, such as size, weight, paper quality, and ink saturation-all of which are crucial in matters of historical, technical, and bibliographic analysis. 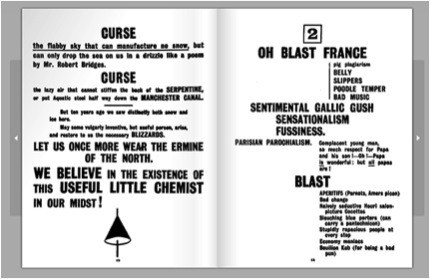 For instance, The Modernist Journals Project (MJP) features an edition of BLAST, an important avant-garde magazine from 100 years ago known for its radical experiments in typography and poetics. Even though the MJP offers high fidelity scans of the original pages, the physical impact of the magazine is lost in translation. The bibliographic information supplied on the landing page of the digital edition indicates that the 212 pages of the first issue (June 1914) are 30.5 cm long and 24.8 cm wide (more than 12 inches and 10 inches respectively). A reader could use a ruler or tape measure as a visual aid in comprehending the size, since it will almost certainly be smaller on a screen. Yet in no way does the comprehension of measurements equal the aesthetic apprehension of seeing-and holding and smelling-a codex that is roughly the area of a small poster, which is twice as wide when opened up, and whose thick paper renders it roughly 6.35 cm (2.5 inches) deep, weighing around 1 kg (2.25 lbs), and supporting the heavily saturated black block letters that often stand over 2.5 cm (1 inch) tall on the page as if they are autonomous objects. The physical experience of reading BLAST necessarily contributes to the interpretation of its content, since such a solid, impactful object is diametrically opposed to the ephemerality normally expected of magazines: it is a Vorticist manifesto attempting to break art and literature aesthetically, morally, and physically: to “be an avenue for all those vivid and violent ideas that could reach the Public in no other way” by bringing “to the surface a laugh like a bomb” (“Long Live” 7, “MANIFESTO” 31). Indeed, the kinetic typography that often spans juxtaposed pages produces a visual effect whose immensity corroborates its revolutionary assertions. This image presents a digital imitation of two juxtaposed pages from BLAST that demonstrate the interplay of typography and ideology. The series of “Blasts” and “Blesses” comprising this section of the manifesto take aim at the passé while asserting an English art that is nationalist in temper. Throughout most of modern history, English artists and writers looked up to their French colleagues as being more advanced. Here, however, the attacks upon French culture by the magazine’s “Primitive Mercenaries in the Modern World” (“MANIFESTO” 30) seek to create a new space for English art that far surpasses its rival. A key tactic in surpassing the French is to embrace the opposing energies of an explosion: “We fight first on one side, then on the other, but always for the SAME cause, which is neither side or both sides and ours” (30). Hence, Vorticism, taking its queue from the vortex or whirlpool (as well as adolescence), deliberately embodies opposing forces at their point of greatest concentration, which is simultaneously their point of cancellation. 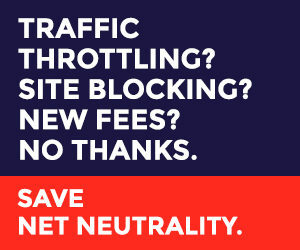 These position statements explain the typographical interplay of absence and presence on the magazine’s pages, where bullet lists occupy the left or right side of a page while the other side remains blank (taking a queue from commercial advertising), or where there seems to be a diagonal line separating absence and presence across two juxtaposed pages, as in the screenshot above. The reader can only fully appreciate the amount of energy required to embody these principles while situated before the text arrayed across an area of 1513 square centimeters (240 square inches) plunked solidly upon a table. I must admit that the image above is not part of the MJP. In my quest to view digital pages of BLAST juxtaposed as they are in the original, I submitted a PDF version of the magazine to FlipSnack so that I could behold its glory onscreen (or at least the first sixteen pages of it that are made available to those too pathetic to pay for the service) and embed it on a teaching blog: BLAST no. 1 (June 1914); BLAST no. 2 (July 1915, “War Number”). It is also possible to achieve a similar result by viewing the MJP’s PDF in Adobe Acrobat, using Two Page View with the selected option to Show Cover Page so that the left-right orientation is correct. The codex-simulating view option is not yet available on the MJP website, which at present offers only PDF download, a single-page view option, and a tiled thumbnail overview of an entire issue. In other words, because of dissatisfaction with the lack of a codex-like viewer, I have created a simulacrum so as to approach the condition of the original. The Oxford English Dictionary informs us that a simulacrum is a “material image, made as a representation of some deity, person, or thing”; it possesses “merely the form or appearance of a certain thing, without possessing its substance or proper qualities”; it is “a mere image, a specious imitation or likeness, of something.” In other words, it fulfills the role of surrogate as a substitute deputed by authority, yet lacks the true substance of that for which it stands. The association of a simulacrum with a deity-and inherent inadequacy-seems apt in the light of the digital BLAST and electronic editing and scholarship in general. One of the built-in goals of the simulacrum is to return to some originary state, “to see the thing as in itself it really is” or was, to paraphrase Matthew Arnold. But in translating BLAST into the new medium, which cannot adequately duplicate the physical attributes to inherent to its meaning, are we not moving the reader further from that originary state? Lewis, Wyndham. “Long Live the Vortex!” BLAST 1:1 (June 1914): 7-8. —. “MANIFESTO.” BLAST 1:1 (June 1914): 30-43.